I squeezed some lemon juice on both filets then placed 2 lemon slices underneath each filet on a piece of aluminum foil. I sprinkled the filets with rosemary and seasoning and set a tbsp of butter on top of each. I let them bake at 425° for about 10-15 minutes since the filets were frozen. And voilá! That’s all I did! It definitely hit the spot. 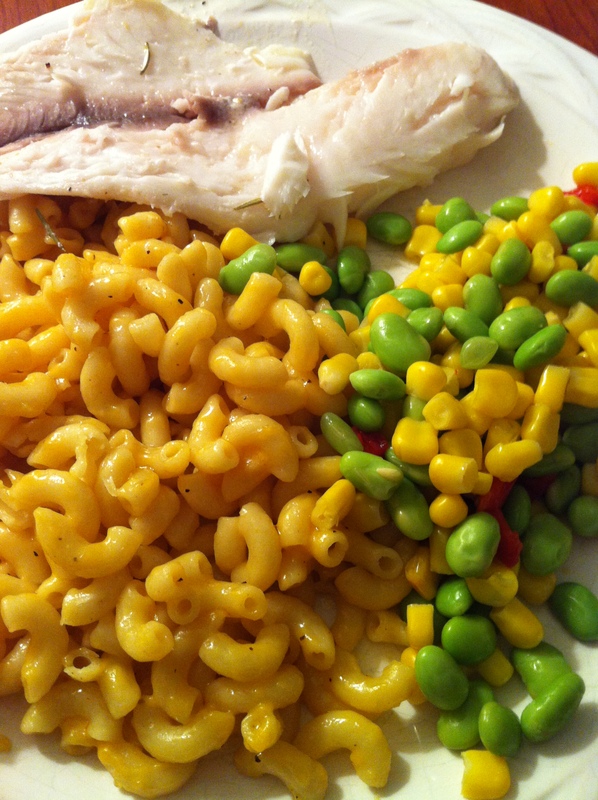 I had mac and cheese and corn/edamame/red pepper succotash (also from Trader Joe’s frozen section) on the side and for dessert, peanut butter chocolate chip cookies. Quite a nice little night in I’d say. Cooking really relaxes me for some reason. It makes me feel all domestic and accomplished. The second recipe I haven’t actually made, but I’d love to try it. This time of year I become obsessed with anything and everything pumpkin. 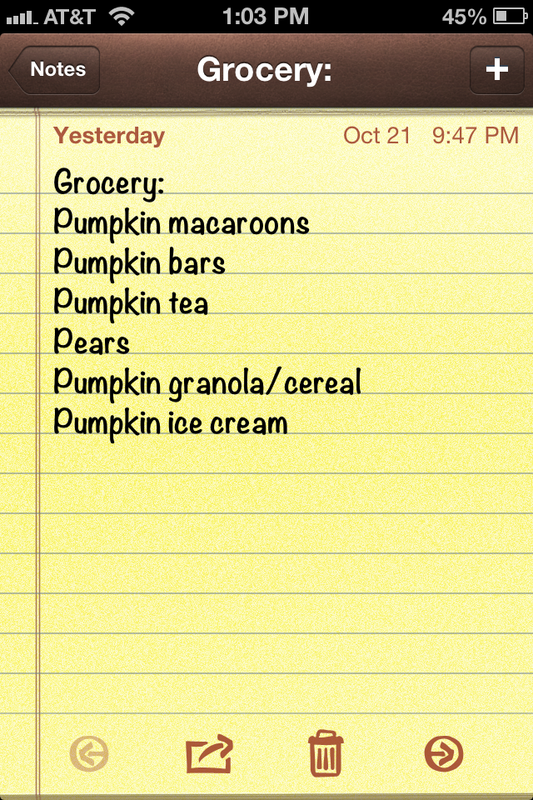 My grocery list right now has 5 different pumpkin flavored items on it (all from Trader Joe’s as you might have guessed.) 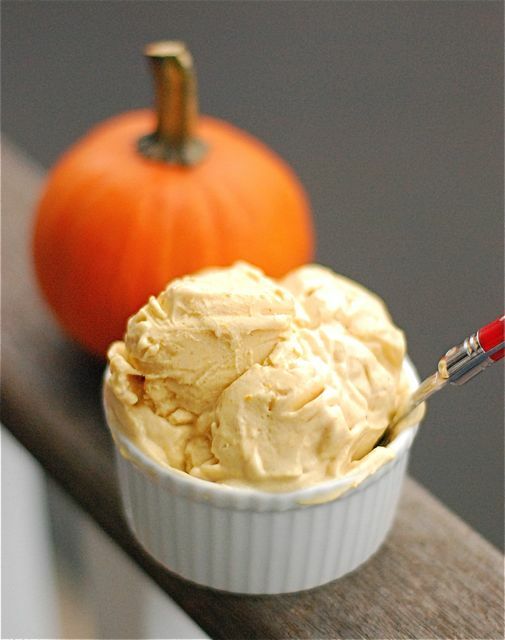 The recipe I found for pumpkin frozen yogurt only has 4 ingredients! In my opinion, the less ingredients the better (and I already have 3 of the ingredients.) I’m thinking this is what I’ll be making next weekend in celebration of Halloween and pumpkin season! While both food pics are amazing, I am in the mood for main-dish foods right now… and that looks awesome! Simple, but awesome! Great combination!